The 3 Most Important People In Your Life. – Talk Exchange..! Then, remember all those who left you alone when you needed them badly. You trusted and they broke your trust. They are really important because they have taught you not to trust anyone blindly and they have given you an opportunity to find someone better than them for you to count on. Last but the most important people in your life.. Those who put you in your difficult times. It is because of them that you entered the deadly storm and came out to be strong and confident. Their extreme hatred for you has made you believe that the depth of darkness does not matter, the intensity of the light does. Wow. That is some mature talk, coming from a 15-16 year old. I’ve spent the last 14 months of my life, trying to figure out who are the most important 5 people in my life, as Shahrukh had asked Alia in Dear Zindagi, but this just changed my whole perspective. It makes it more difficult and yet easier, at the same time. Hey.. I am so glad that I could help you with the first 3 people.. Figure out the next two and let me know.. I too would think about it.. Happy to know your thoughts.. Thanks a lot for reading dear.. 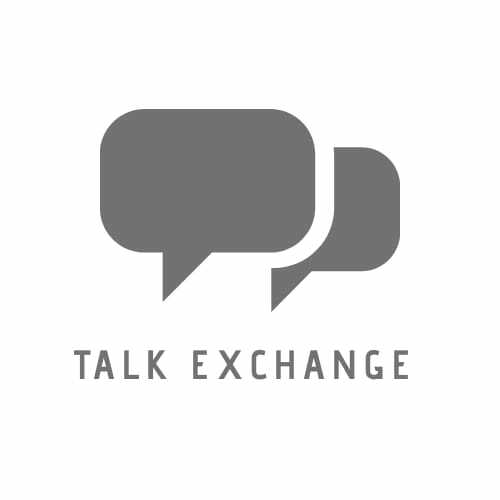 I was just about to request everyone to share it as it might change life for someone and you like just read my mind..
It’s Talk Exchange.. No permissions required to share and reblog. You can always do it.. Thanks a lot for doing it.. It means a lot to me when my words mean something. Nah nah.. Student.. Always a student.. I learn so much from you and all the bloggers and the things around me..various experiences.. Everyday something new.. I’ll always be a learner.. A student no matter how much ever I grow up. This was a deep post. I hope you are okay. I am perfectly alright.. Not an issue.. Just a share for those who aren’t okay and for those who haven’t experienced anything deep and therefore would be aware about it and don’t fall prey to it.. This is so so good. Reading this makes me remember so many things from the past but in the end, I always feel grateful for everything that happened. Keep interaction with these people always. Learn from the past version, plan for the future and live your present….! While going through ur post, I was trying to figure it out … person who told me exactly these words few days back!! I guess it might be my teacher !. At that time, I ignored him, as usually I do. But, this time same thought coming from my age group…make me think for a while. The pleasure is all mine! It a really great Post, so full of Wisdom. I am truly humbled, that you are so excited 😆 and grateful about Reblog. You deserve it! This is very profound wisdom and insightful analysis and very very very true. Dear Neha, you have great insights to share. I am totally familiar especially with second and third as a truly enhancing life experience, and by now I am best friends with that person. Big message in few words. Very Nicely written. Keep writing, I am always eager to read new posts. I never forget the above three…never! Very good post. This is deep Neha. Indeed these are the three people you sshould remember in life. Be sure to thank them, for making you strong. Its what you feed yourself that you emit, what you attract, that you radiate. Self love. Your follower in Sunshiny South Africa. Hey.. Preparing hard for the boards ha.. You are hardly to be seen..! Yeah..Just taking a pause here for boards..I hope I get back soon..You Too.. All the best!! Study Hard!! Naam roshan karna!! hehe…do well..
🙂 Hope you get through it with flying colours!! Your words speaks a lot of wisdom! I can relate…I lived each situation and this is one of my favorite saying! Great information is shared.. And it is so true..
Amazing post with great message, thanks for sharing Neha!